This coming week we begin our publication of the 2018 Annual Wrap Up. Story #7: 9-11 West: Are Thermal Warfare & Disaster Capitalism Spreading Across the US & EU? As you listen, check out the News Trends & Stories section of the 2018 Annual Wrap Up web presentation, including our complete trends list, our choices for top news videos of the year, the Trump Report Card and our headlines for the top stories. In the week following, in News Trends & Stories, Part II, we will cover the 10 top stories in Culture, Science, Space & Technology, Food & Health and discuss UnAnswered Questions, Inspiration and Take Action. In the third week of January, I will cover equity and financial markets and publish the first Blockbuster Chartology from Rambus for 2019. 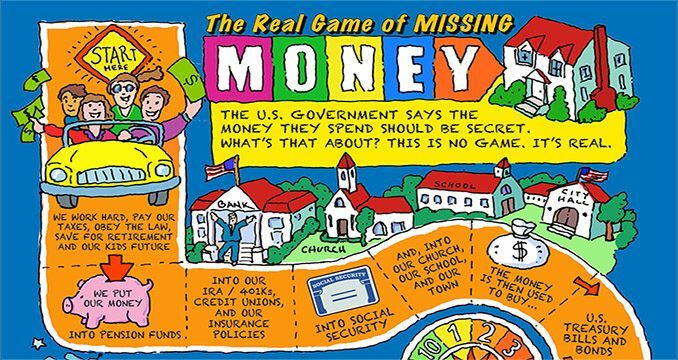 In the final week I will address our 2018 Annual Wrap Up theme: The Real Game of Missing Money. We have heard a great deal of discussion in 2018 about the $21 trillion in money missing from the federal government between federal fiscal 1998-2015. The discussion got so serious that the US government decided to institute a policy authorizing secret books. Given the role of the US government as the largest issuer and/or insurer of sovereign bonds, mortgage securities and bank deposits, and given its powers to grant corporations the authority also to maintain secret books, the result has been in effect to take large portions of the US stock and bond markets dark. This is the single most pivotal issue before US citizens and citizens of countries under the US security umbrella. The United States is using accounting policy to convert its form of government to a fascist model. In the process, it is discarding centuries old standards and laws of disclosure for the majority of the US market securities. This change has profound implications for global investors and financial markets. The time has come to provide subscribers with an overview of what has happened and what it means to us. In Let’s Go to the Movies, I will review the winners of the Solari Report Top Documentary of 2018 and Top Movie of 2018. For Solari Report Top Documentary of 2018, Congratulations to Truthstream Media for their tour de force on mind control, The Minds of Men. Please do not miss seeing this fascinating history that is essential to understand the forces at work today. In Money & Markets this week I will discuss the latest in financial and geopolitical news. E-mail your questions for Ask Catherine or post at the Money & Markets commentary here. 2017 Annual Wrap Up: Does Your Pension Fund Have a Deep State Drain?